There was no “phony war” at sea. The Battle of the Atlantic started on the first day of the Second World War, 3 Sept 1939, with the sinking of SS Athenia by a German U-boat. It continued until the last day of the war and so was the longest campaign of the Second World War and the most destructive naval conflict in history. 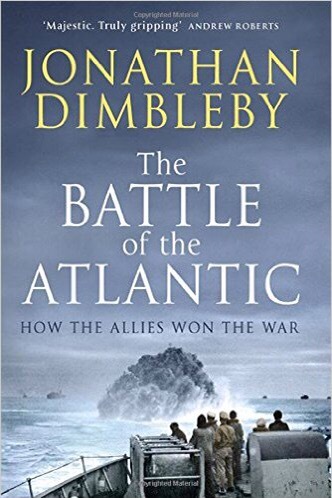 Dimbleby’s account of this campaign is an elegantly written horror story, alternating between accounts of the ghastly fighting at sea, and the operational and strategic planning of the Allies and the Axis that guided the slaughter. Churchill famously said that the U-boat menace was the one thing that gave him sleepless nights during the war. However it would be fair to say he brought many of the nightmares that afflicted him on himself. Most damningly Churchill prioritised the militarily pointless and morally indefensible bombing of German cities by the psychopathic head of Bomber Command, Arthur Harris, over the vital defence of the convoys across the North Atlantic. Hence Coastal Command was denied the relatively few aircraft that could have turned the tide of the battle months earlier. Dimbleby asserts that Churchill was possessed of a great strategic vision. But this seems rather at odds with the account presented which suggests a certain strategic fickleness on Churchill’s part. It is true he did have a vast and complex set of problems on his mind. But one does get the impression of a man easily given to temporary military enthusiasms to little useful purpose but to the detriment of some truly vital endeavours. Dimbleby puts this into sharpest focus on some of Churchill’s choices around the Battle of the Atlantic. But one sees this in many other places such as his failure to finish the defeat of the Italians in North Africa before, wholly ineffectually, attempting to arrest the invasion of Greece. Rather than military strategy Churchill’s genius was of the political variety. 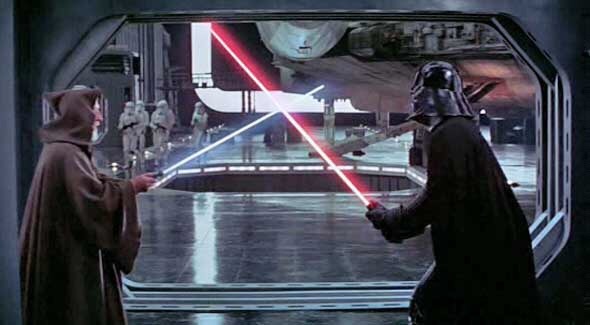 His forging of the trans-Atlantic alliance with Roosevelt was perhaps his finest hour. This resulted ultimately in the Allied victory, not least by bringing the true strategic genius of the US General George Marshall to bear on the situation. This inexorably refashioned Allied strategy away from Churchill’s fanciful Mediterranean focus – which arose more from his desire to keep some semblance of unity on the British Empire rather than to pose a lethal threat to the Axis – and towards an altogether more effective intent to mount an invasion of France to swiftly strike at the heart of Nazi Germany. In spite of these strategic failings a combination of increasing effectiveness of convoy tactics, and improved technology ultimately, and with dramatic suddenness in May 1943, turned the tide of the Battle in the Allies’ favour. Thereafter, with victory in the North Atlantic, victory in the overall war was assured. Convincingly Dimbleby argues that the code-breaking of Bletchley Park was only marginally a factor in this victory, not least because the Germans had also cracked the Royal Navy code and the advantages that Bletchley provided were somewhat cancelled out in the war at sea. The Battle of the Atlantic was to any imagining horrendous and Dimbleby conveys this well – from the account of Italian prisoners weeping in terror as they drowned imprisoned in the holds of the torpedoed Laconia, to the massacre of the Arctic Convoy PQ 17, condemned to its doom by incompetence in the Admiralty for which, of course, no one was ever held to account: That the lives and heroism of merchant seamen were held cheap by the Establishment is a recurring theme in this book. The Battle of the Atlantic is a gripping and generous-spirited book, drawing on the accounts of German as well as Allied participants recognising the courage and humanity of all the participants in the Battle, while also recognising the horrendous things that many of these ordinary human beings did to each other.